Contractors Software Group (CSG) is a leading developer of best-in-class technology solutions for builders and contractors. 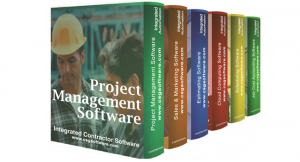 We offer some of the only fully integrated construction management software programs for general contractors, home builders and residential & commercial construction. We have multiple products to choose from based upon size, needs and budget. Check out our full product line or contact us for more information.